My favorite machine intelligence company, Numenta, does frequent hackathons and other events. The always need t-shirts, and this is a great opportunity to get creative in the machine intelligence space. Here are a few of my designs for recent events. 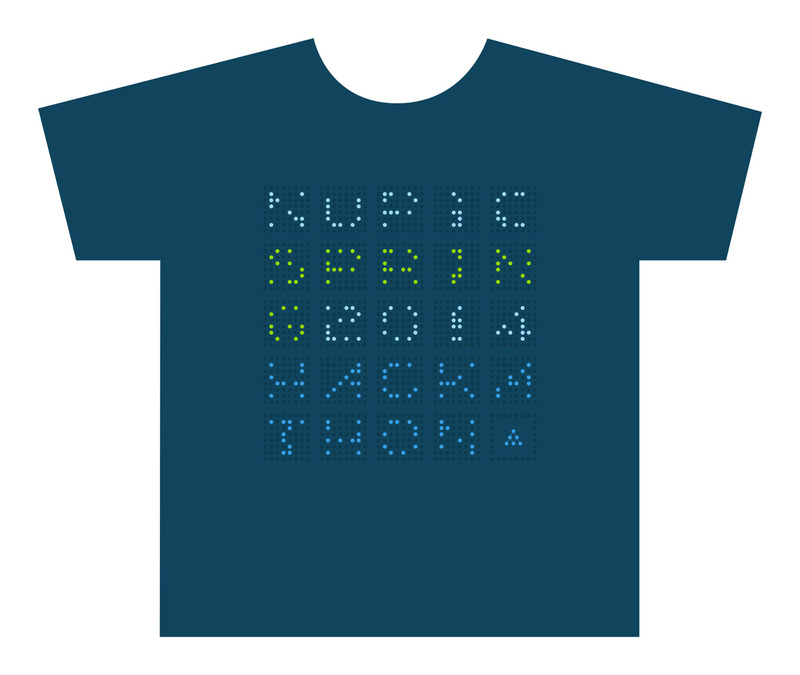 This shirt was for the Spring 2014 Hackathon. It uses the concept of Sparse Distributed Representations (SDRs) to render the letters of the event.